Sign-up and receive Property Email Alerts of Residential Estates in Mjejane Lifestyle Estate, Hectorspruit. Mjejane Game Reserve is a 4000 hectare premier game reserve situated on the banks of the Crocodile River, with over 10km of spectacular river frontage and clear views over the Kruger National Park. It is the only residential estate fenced into the Kruger National Park with direct access to the park via a private low-level bridge, affording owners the privilege of linking to, and traversing the 7900km road network within the KNP. 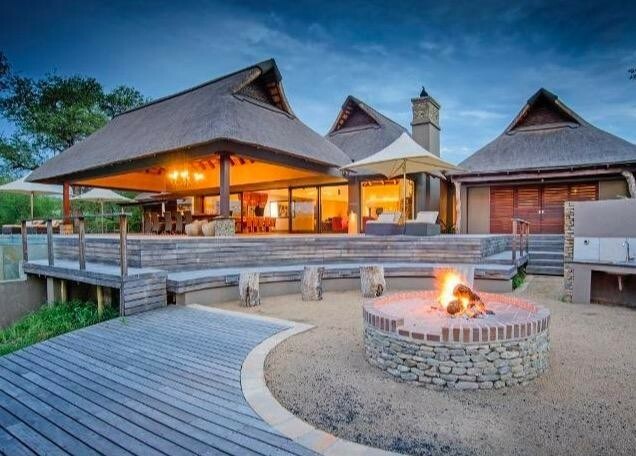 Nestled in Mpumalanga, This exclusive Estate offers two dream freehold purchase options, Riverview stands from R3 300 000 & Bushland stands from R1 800 000. Building packages are available from R7 500 000. Positioned on the Kruger's Southern boundary between the Malelane and Crocodile Bridge gates, the reserve enjoys 10km's of spectacular river frontage and is fenced into the Kruger Park. The Southern area of the Kruger National Park is renowned for its Big 5 game viewing and the 4000 hectares within Mjejane Game Reserve, features magnificent Big 5 bush. The Estate is only a 4-hour drive from Gauteng and less than 60 minutes from Nelspruit's Kruger Mpumalanga International Airport. Witness a pride of lions strolling past your home or enjoy an curious elephant herd joining you for a sundowner. Experience the magic that is Mjejane.